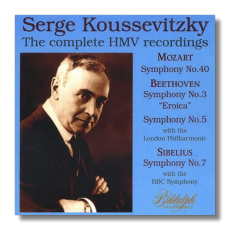 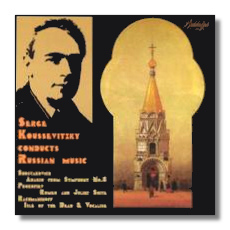 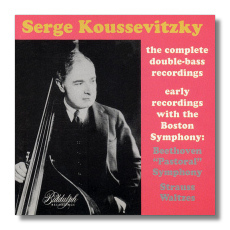 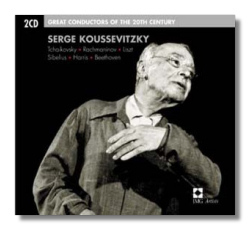 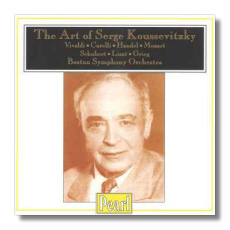 Here is a complete list of compact disc recordings by conductor and double bass virtuoso Serge Koussevitzky. 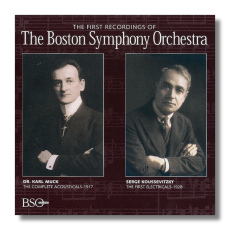 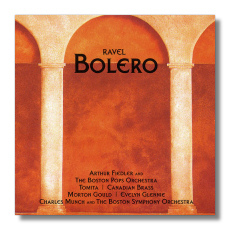 The orchestra is the Boston Symphony unless otherwise indicated. 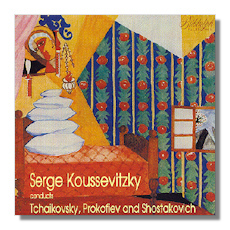 Not all releases are currently "in print", though many are available used through the linked sources. 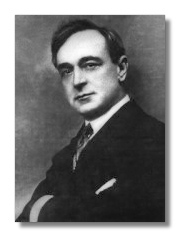 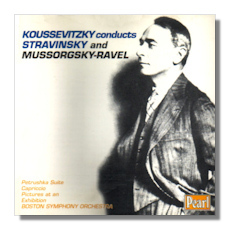 Koussevitzky recorded several works on more than one occasion. 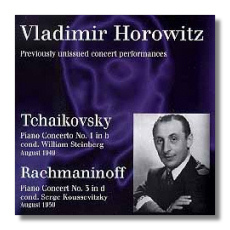 In such cases the year in which the recording was made is listed when known. 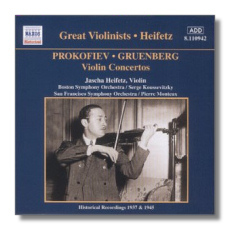 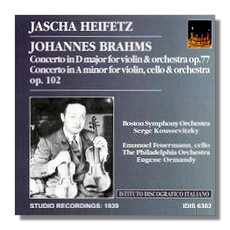 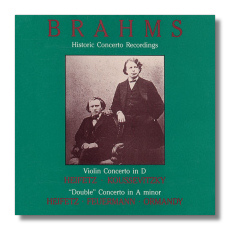 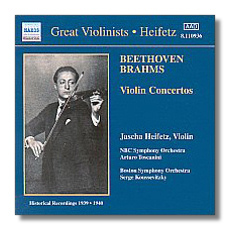 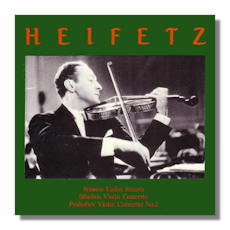 The Brahms and Prokofieff Concertos with Heifetz have also been issued as a part of the complete 'Heifetz Collection' on RCA, but may not be available apart from the complete set. 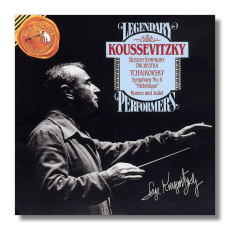 Please note that this list represents only a tiny portion of the recordings that Koussevitzky made during his long and distinguished career. 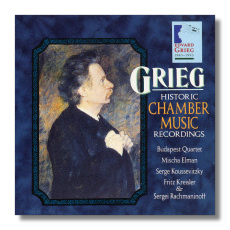 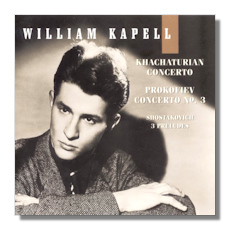 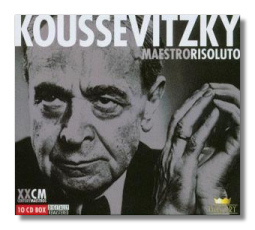 Many of his best commercial recordings have not yet been reissued on compact disc. 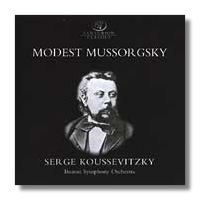 A few may be available on LP from used record dealers. 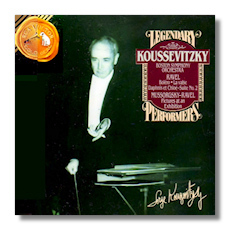 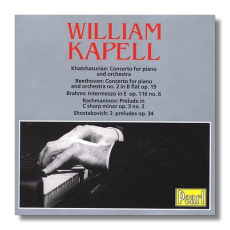 Also, from time to time, you may encounter used copies of "pirate" CDs and LPs of live Koussevitzky performances on such labels as AS Disc, Stradivarius, Eklipse, The Bruno Walter Society, or Rococo. 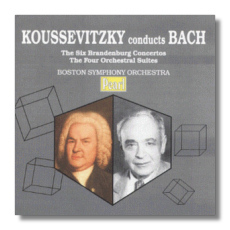 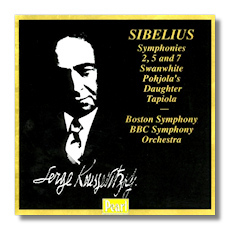 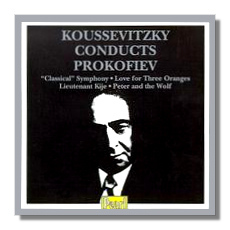 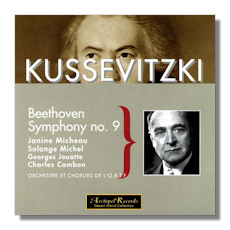 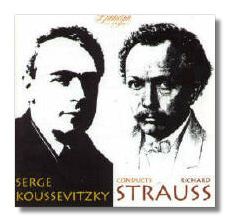 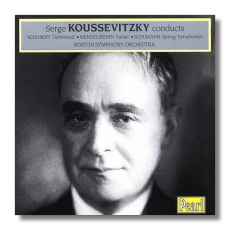 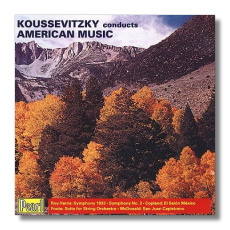 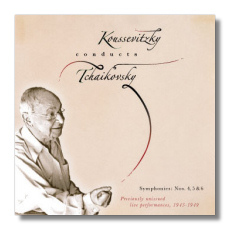 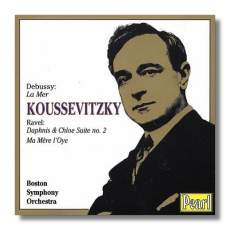 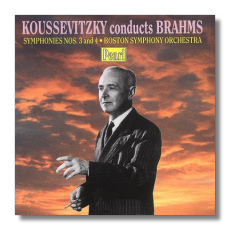 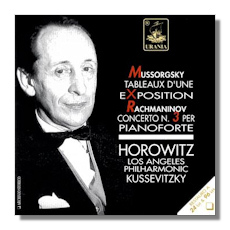 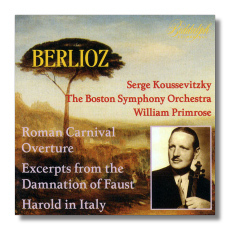 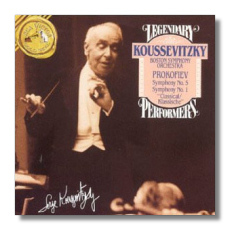 The sound on these releases is generally inferior, but Koussevitzky was never more intense or exciting than in concert. 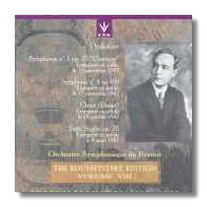 These pirate discs are all well worth having. 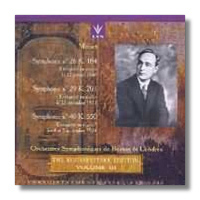 A separate annotated list of those items is in preparation. 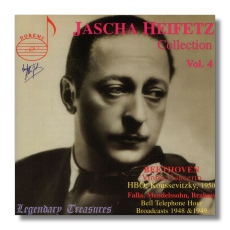 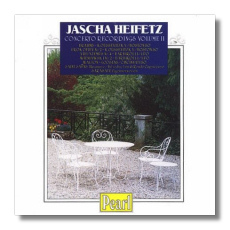 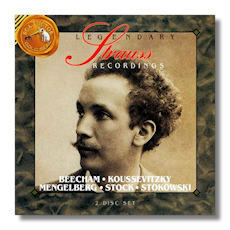 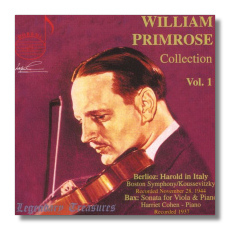 Doremi DHR 7725 "Legendary Treasures - Jascha Heifetz Collection Vol 4"
Doremi DHR 7708 "Legendary Treasures - William Primrose Collection Vol 1"
Pearl GEMM CDS 9167 (2CDs) "Jascha Heifetz Concerto Recordings, Vol 2"
RCA 60921 "William Kapell Edition Vol. 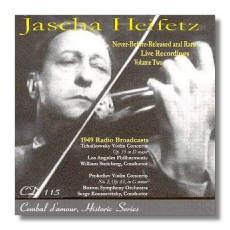 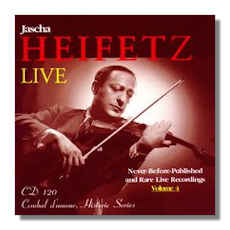 4"
Cembal d'Amour 120 "Heifetz - Never Before Released & Rare Live Recordings Vol 4"
Cembal d'Amour 115 "Heifetz - Never Before Released & Rare Live Recordings Vol 2"
PROKOFIEFF: Symphony 1 ('45) & 5, Tale of the Buffoon "Chout"
Biddulph WHL 045 "Koussevitzky conducts Russian Music"
Pearl GEMM CD 9179 (Review) "The Art of Serge Koussevitzky"
Maestro History (Celebre) 205259 (10CDs) "Maestro Risoluto"